Many exceptions and anomalies across the U.S. According to Squaremouth, the online travel insurance aggregator, there are quite a few anomalies where common travel insurance benefits are excluded to state residents. Exclusions typically depend on the underwriter and the lengths they need to go to in specific states in order to offer those benefits. “Some states make it much harder for providers to offer certain coverages, like CFAR or rental car damage, for instance, and thus they are more likely to be excluded in those states,” though not necessarily prohibited by state regulations, a spokeswoman said. 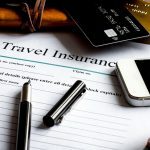 The terms and conditions for an annual travel insurance plan from Allianz Global Assistance state that rental car damage and theft coverage is not available to Kansas, Texas and New York residents. In a search on Squaremouth, eight policies appeared for a simple travel insurance request for a one-week trip to Mexico departing Mar. 24, with Cancel for Any Reason coverage for a Washington state resident. Squaremouth said 45 policies were ineligible for purchase. When the state of residence was changed to Pennsylvania, 12 policies were available and 40 policies were ineligible.